Since joining our Sales Department in 2016, Todd has had an appreciation for the family values that Tri City RV embodies. 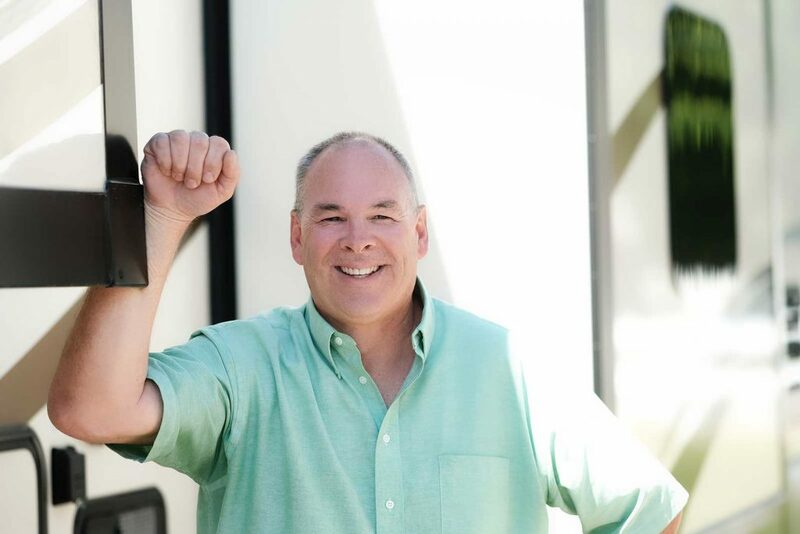 He loves working with customers and watching them drive off to start enjoying adventures in their new RV. In his free time, Todd enjoys spending time with his family. He is passionate about sailboating and sailboat racing. Camping is so very relaxing and removed from all the hustle. It’s also a way for families to enjoy time together. I love cooking a juicy pork loin with baked beans and corn on the cob. I love getting a site overlooking Lake Michigan at Muskegon State Park. It’s a great place to enjoy outstanding sunsets and easy access to the beach. I love the freedom to explore America at will. I’m grateful for my family and to Tri City RV for allowing me to work with a great family. Our customers can trust me to be honest, straightforward, and to help them purchase a camper that will give them a lifetime of memories.